If you have ever wanted to see how amazing you can be, don’t miss this Very Special Promotion ! You will discover a whole new dimension of you, beautiful Images you never thought possible. 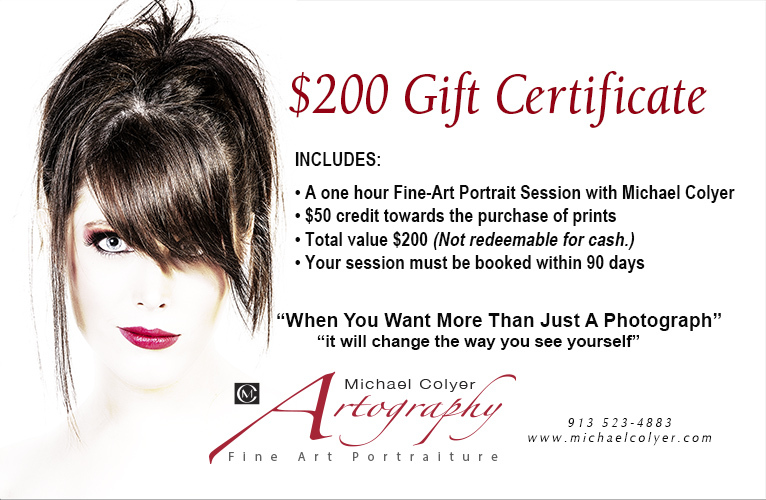 This is an opportunity for all of you who have been wanting an original Michael Colyer Fine-Art Portrait, but for whatever reason, you haven’t made it happen. Register To Win and watch your email for the announcement !